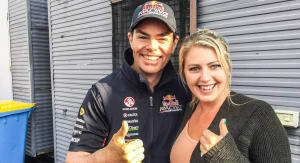 Growing up in a small town in regional Queensland, the V8 Supercars Championship Series was the catalyst for heated debate among friends over drinks. This debate sparked family feuds that lasted decades and was even rumoured to have ruined marriages. Did your blood run red or blue? A side had to be chosen and God-forbid you changed your mind or sat on the fence. 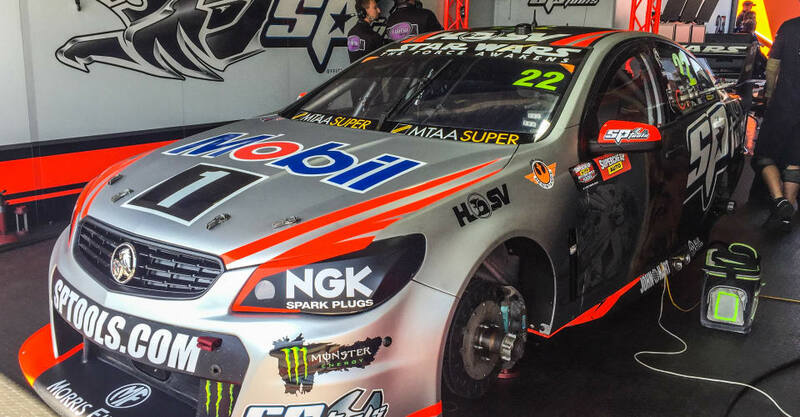 Now, there are more manufacturers represented in V8 Supercars than there used to be. 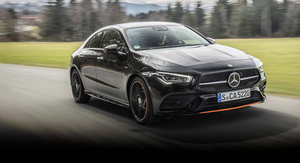 The past few years have seen Nissan, Mercedes-Benz and Volvo cars join the series. Arriving at the Supercheap Auto Bathurst 1000, the excitement in the air was palpable. 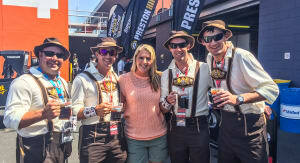 The crowds were dressed in their team colours, but there were also those who decided to combine Oktoberfest with the Bathurst event, which made me do a double-take. 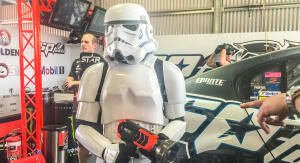 More importantly there were Imperial Stormtroopers making a special appearance at Mount Panorama. 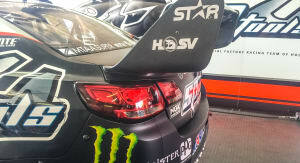 I was at Bathurst as a guest of Holden, so there were two major items on my agenda: see the Star Wars themed Holden Racing Team cars, and get out for hot laps in the new Holden Commodore VFII SS-V Redline with Craig Lowndes and Garth Tander behind the wheel. 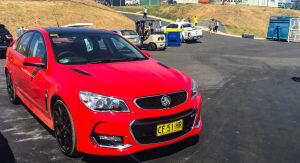 I flew in from Sydney and was collected from Bathurst airport in the new Commodore. I was immediately struck by the bi-modal exhaust system and mechanical sound enhancer, which makes this 6.2-litre V8 sound amazing. 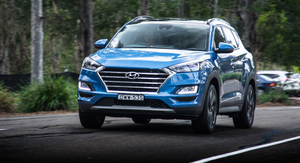 I certainly felt the part on the way to Mount Panorama. 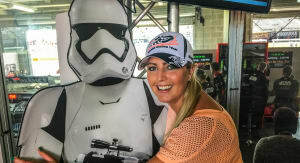 We headed to the paddock and straight to the Holden Racing Team garage in the pits to meet the team and marvel at the two HRT Star Wars cars. It was amazing to see these cars in the metal. 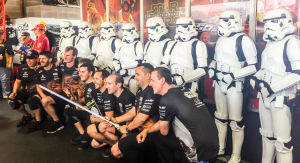 The partnership between Holden and Disney (who now own Star Wars) has been a long time in the works, according to Holden’s motorsport and sponsorship manager Simon McNamara. The Star Wars and Holden alliance has been his project, and as a passionate fan of the universe, the Force runs deep in his veins. 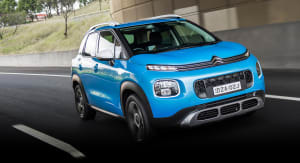 “We wanted to partner with an iconic brand, outside of the normal box. 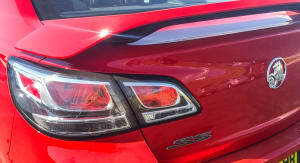 We’re in the process of trying to reinvigorate the Holden brand, given that we’ll have new products as we go forward. The stars aligned in the terms of the new movie coming out and the timing being right with what we could do and when we could do it,” McNamara said. As a cultural phenomenon, McNamara hopes the Star Wars association will help Holden reach a wider audience. With this deal set to run over a two year period, you can be sure there will be more of this to come. NRL, the State of Origin and AFL could all feel the Force. 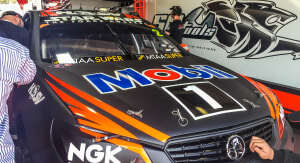 The HRT cars were visually impressive up close with the distinctive livery, not that James Courtney would have known what it was all about a year ago. 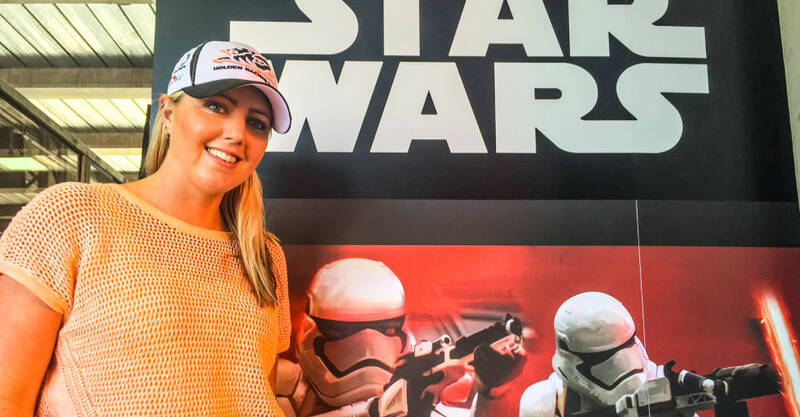 “I hadn’t watched the movies until the start of the year when Simon McNamara from Holden, who is a ridiculous Star Wars fan, got very emotional with me because I’ve never watched the movies. I’ve had a bit of time over the past couple of months and I’ve seen them all now,” Courtney said. 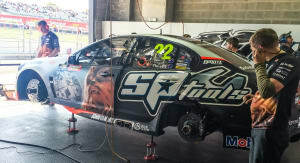 He was still recovering from a freak accident at Eastern Creek that saw him hit in the chest by a piece of metal dislodged by the downdraft of a helicopter, so Russell Ingall was set to fill in for him, driving the car adorned with a large Chewbacca image, alongside Jack Perkins. Courtney was disappointed not to be racing, but happy to be back with the team. 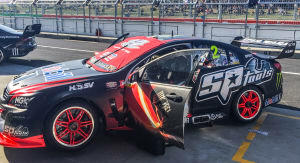 Crossing over to the Dark Side, Garth Tander and Warren Luff’s car featured the new Star Wars bad guy, Kylo Ren. 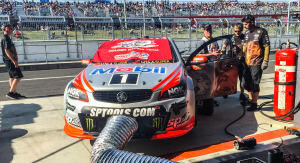 It was a stinking hot day and we spent a lot of time in the pits, in the HRT garage. Every now and again the Stormtroopers would march in for photo opportunities. They were quite unsettling up close. In all of the excitement I had almost forgotten they were the bad guys of the intergalactic franchise, and being unable to see the eyes of the people in the costume only added to the intimidation. Qualifying was approaching, and the energy and activity in the pit lane garages was lifting. The sensation is addictive, watching the activity as all-systems shift to “Go”. Support teams were keeping an eye on data coming through the many monitors, and nervous crewmembers were anxiously watching the live feeds – it certainly was an assault on the senses. 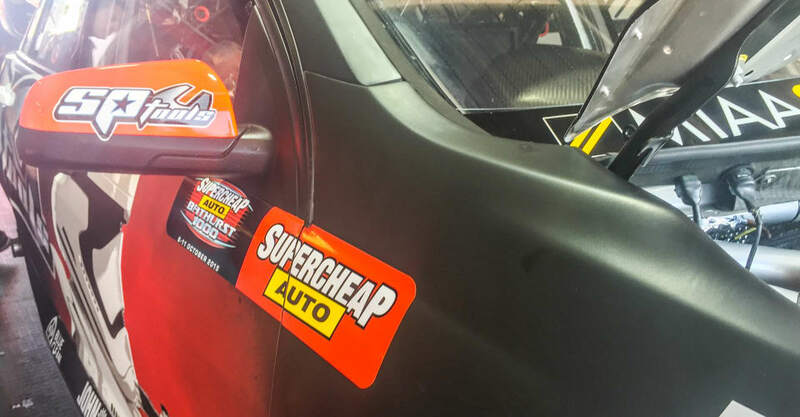 Then there was a collective gasp, as defending champion Chas Mostert was involved in a crash that left him with serious injuries and also injured three officials. With damage to the barriers and spills on the track, the incident put an end to qualifying for the day and also spelled the end of our hot lap plans. Even though there wasn’t any more action on the track that afternoon, there was now an opportunity to have a chat with some of the drivers. Speaking with Garth Tander, he says that Bathurst takes a bit of getting used to. He’s been doing it for 18 years and says the car still gets light and he still finds himself with four wheels in the air when then track drops down the side of the mountain, “The run across the top of the mountain is hard to describe. The car moves around so much, the speeds are so quick and the consequences are very high like we saw today. 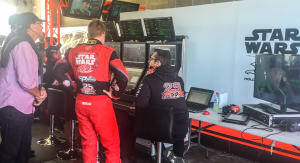 Laying it on the line as a racecar driver is what you enjoy and there’s no bigger way of doing that than here,” Tander said. He is a Star Wars fan, but wasn’t upset at having to cross over to the Dark Side. “It’s cool. It’s every kids dream isn’t it? 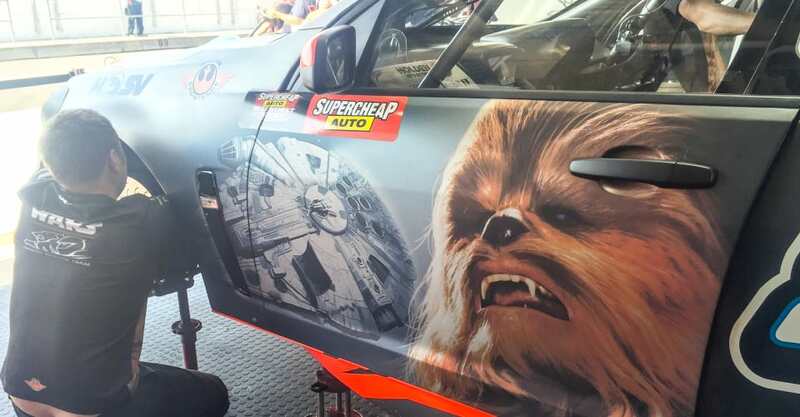 You’re racing at Bathurst, driving for the Holden Racing Team, Star Wars guys hanging around, and Star Wars all over your car. As a kid growing up I watched all the Star Wars movies and I obviously watched every Bathurst. They obviously thought I’d be a better Dark Side character. Doesn’t bother me I actually really enjoy it,” he said. 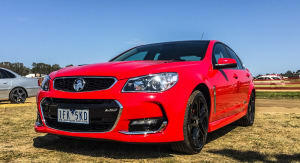 With the cancellation of qualifying dousing cold water on our hot laps, we headed to our transportation back to Sydney – the new Holden Commodore VFII SS-V Redline. 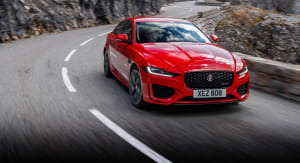 This is the same car that had collected us from the airport that morning, but now was the chance to get behind the wheel and tackle the three-hour trek home. Around an hour after leaving Bathurst, the phone rang. Good news! 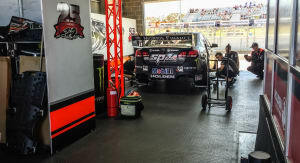 V8 Supercars were able to shuffle the schedule around and there was a small window of time available early the next morning to get the SS-V Redlines on the track at Mount Panorama. It was late, we were all tired but this was too good of an opportunity to miss! 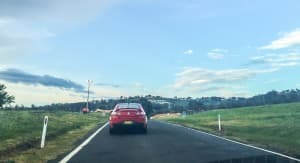 We turned the big V8 Commodore around and headed back to Bathurst for the following morning’s event, but there was a problem. 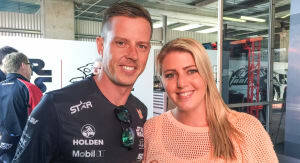 Anyone who has been to Bathurst for the V8’s knows that finding accommodation during the event is a nightmare. We stopped in at a few random motels on the way back towards Bathurst, and quickly realized the closer we got, the less likely we’d be to find a room. The solution was to try every quaint (ahem, dodgy) pub on the way back to Sydney, and see if we could find any rooms available. Success! It may have been a room that reminded me of staying at Grandma’s house, with a shared bathroom down the end of a dark and creaky hallway, but at least we had a roof over our heads, and not too far away from Bathurst. We managed to get our hands on a bottle of wine, and headed to the shared TV room to have a glass before bed. One of the establishment’s other guests had already taken up residence on the couch, dressed in her pyjamas and eating a pizza. Our quiet wind-down was noisier than expected because she was on for a chat! After making our excuses and collapsing into our floral-doona-clad beds, we managed to grab a few hours sleep before heading the hour and a half back to the track by 7am. 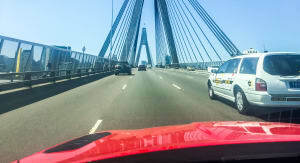 We arrived raring to go, and were treated to a spectacular display of driving skill by both Craig Lowndes and Garth Tander. 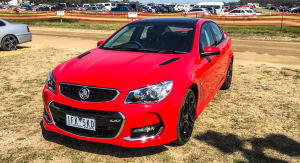 The VFII SS-V Redline was impressive on the track, which isn’t too surprising considering it’s the most powerful Commodore ever made with 304kW and 570Nm. 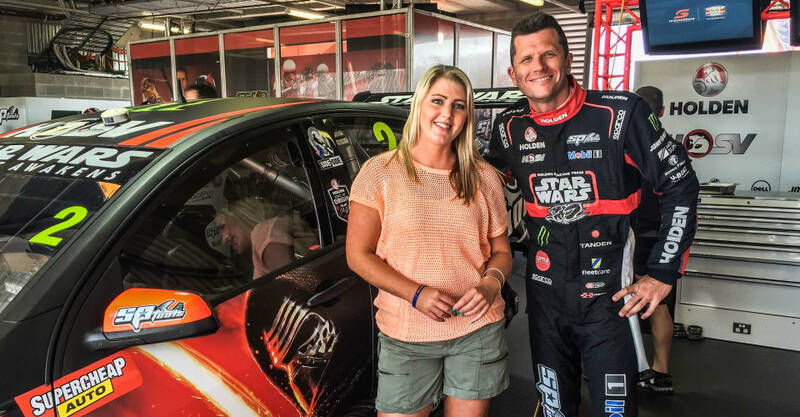 Tander and Lowndes were obviously having a great time thrashing each of their cars around the track, loaded with excited passengers. 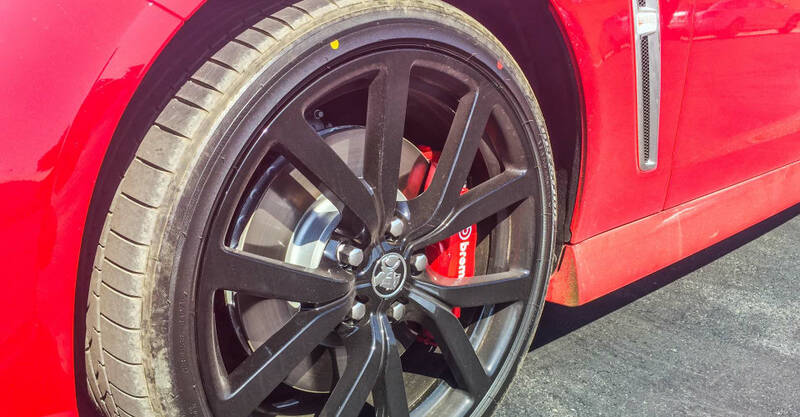 Mount Panorama punishes brakes with steep straights, and it was the perfect testing grounds for the Brembo brakes on all four wheels. 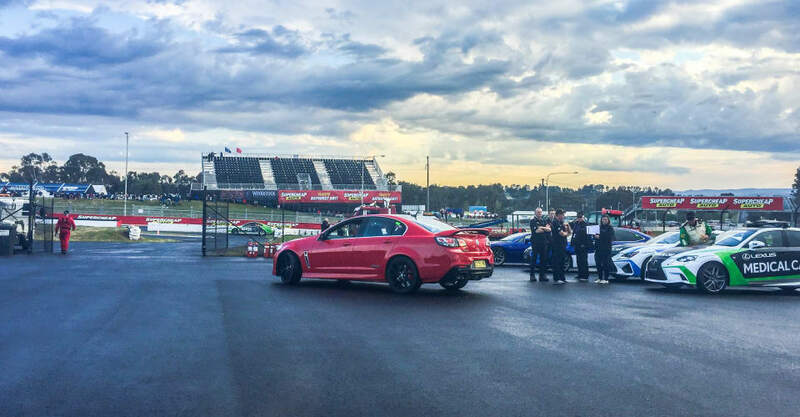 For our spin around the track, the V8 Supercars superstars had interestingly different techniques on the track. Tander was smooth and almost cautious, taking his time to talk us through the experience and share his thoughts on the car. Contrast this with Lowndes who was showing off a bit, getting a little sideways around some of the corners. He was still smooth and effortless in his technique, but he pushed it a little more when he knew he could, just to scare us a bit. Even though I scored a couple of laps with both drivers, it was so fast that it was hard to know where we were on the track at times. Skyline was certainly a gut-wrenching part of the track to scream through while the Esses and the Dippers sent us flying from side to side in the car. Heading up the hill was almost equally as exciting, heading around Quarry Bend and the Cutting. By the time you hit Sulman Park you’re on tenterhooks, waiting for the downhill run to come out of nowhere. The VFII was more than capable of handling Bathurst in the hands of those that knew what they were doing. As we pulled up to stop after the flying laps, the adrenaline was pumping and all I wanted to do was have another go! Sadly, there was the all-important Supercheap Auto Bathurst 1000 program to get on with. 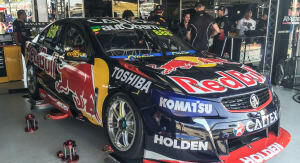 Holden’s chief engineer Andrew Holmes was stoked to have also enjoyed this unique experience, “The laps of Bathurst in the VFII with Craig Lowndes and Garth Tander were the realisation of a childhood dream. 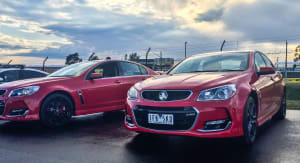 The iconic Australian car, on the iconic Australian track with two of the best in the racing business. It simply doesn’t get much better than that! 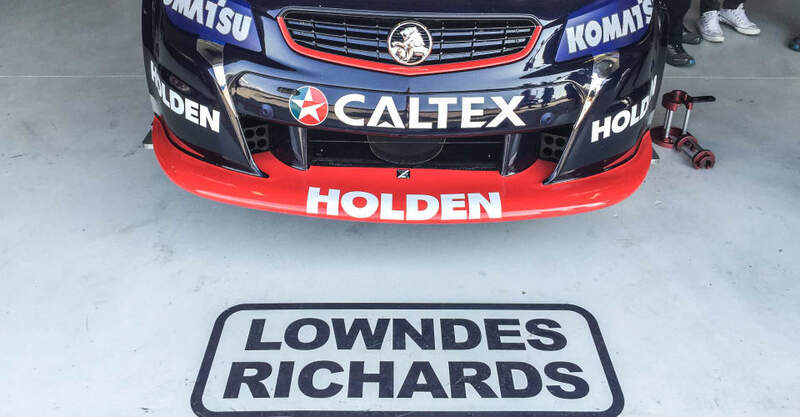 I will admit that I have driven this car fast, many times on different race tracks around Australia, but when Garth Tander turned to me on the way up mountain straight and said, “It sounds pretty good, mate” it made all the hard work worthwhile. 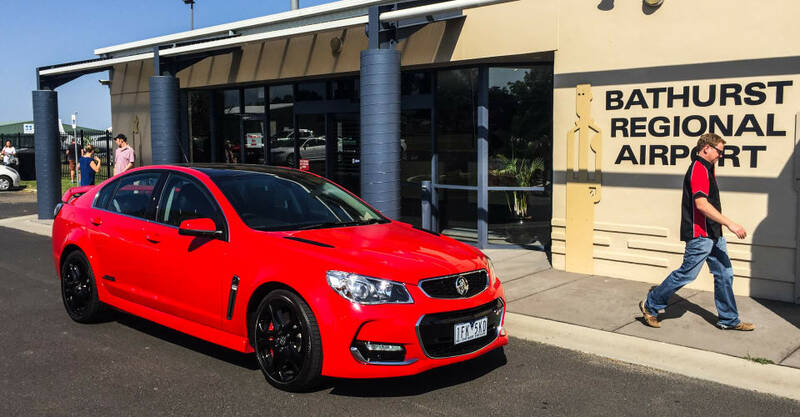 Our Holden team should be extremely proud,” said Holmes. The VFII sounds guttural but refined and that’s largely due to the “Baillie Tip”, the story of which Holmes was sure to tell me about. 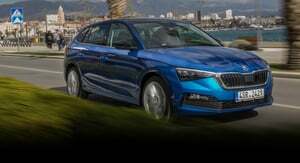 The new Commodore looks the business too. 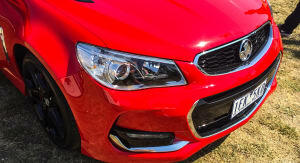 With new bonnet vents on the V8 sports range, the signature vent looks sporty and also helps reduce the temperature under the bonnet. We certainly put that to the test. 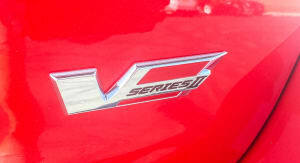 After Tender and Lowndes were let loose with the VFII SS-V Redline, they certainly put the ‘hot’ into hot laps. The brakes were smoking and heat from under the bonnet was radiating, as they should have been! 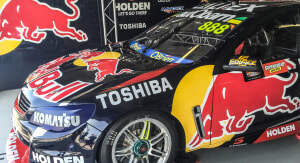 After experiencing Mount Panorama with Lowndsey at the wheel, it certainly came as no surprise when he wound up on top of the podium at the end of the round.